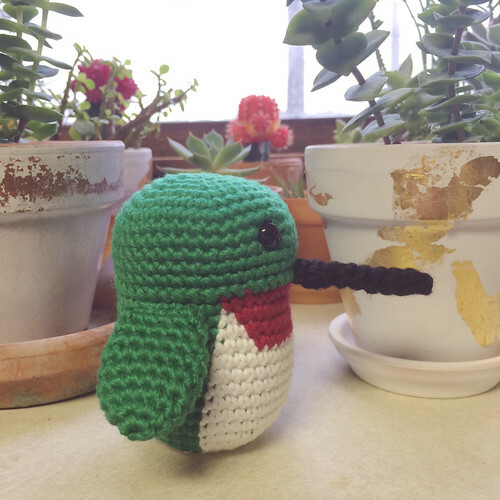 For my Gram's birthday (along with doll I made), I also crocheted up a little chunky hummingbird! He looks a little goofy, but I think that's what makes him so cute! 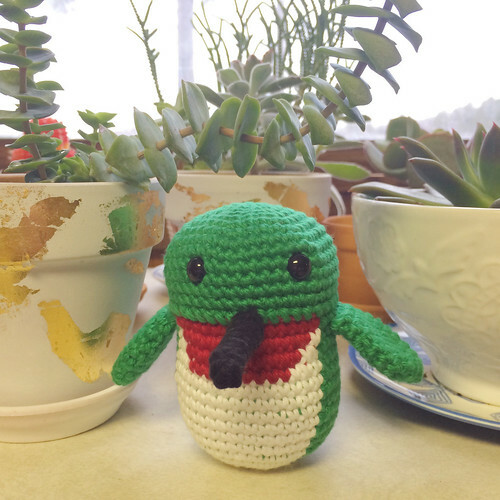 I made him very similar to the duck I recently made. (Although I think I made this hummingbird taller somehow.) He cracked me up the whole time I was making him. He also got a pretty good chuckle from people when Gram took him out of the bag! Well you certainly got the hummingbird's profile! Did you call him Pinocchio? !